PROSPECT, located at the High Flux Isotope Reactor (HFIR) at the Department of Energy's Oak Ridge National Laboratory (ORNL), has begun taking data to study electron antineutrinos that are emitted from nuclear decays in the reactor to search for so-called sterile neutrinos and to learn about the underlying nuclear reactions that power fission reactors. "Neutrinos are among the most abundant particles in the universe," said Yale University physicist Karsten Heeger, principal investigator and co-spokesperson for PROSPECT. "The discovery of neutrino oscillation has opened a window to physics beyond the Standard Model of Physics. The study of antineutrinos with PROSPECT allows us to search for a previously unobserved particle, the so-called sterile neutrino, while probing the nuclear processes inside a reactor." "The development of PROSPECT is based on years of research in the detection of reactor antineutrinos with surface-based detectors, an extremely challenging task because of high backgrounds," said PROSPECT co-spokesperson Pieter Mumm, a scientist at the National Institute of Standards and Technology (NIST). PROSPECT's detector technology also may have applications in the monitoring of nuclear reactors for non-proliferation purposes and the measurement of neutrons from nuclear processes. "The successful operation of PROSPECT will allow us to gain insight into one of the fundamental puzzles in neutrino physics and develop a better understanding of reactor fuel, while also providing a new tool for nuclear safeguards," said co-spokesperson Nathaniel Bowden, a scientist at Lawrence Livermore National Laboratory and an expert in nuclear non-proliferation technology. 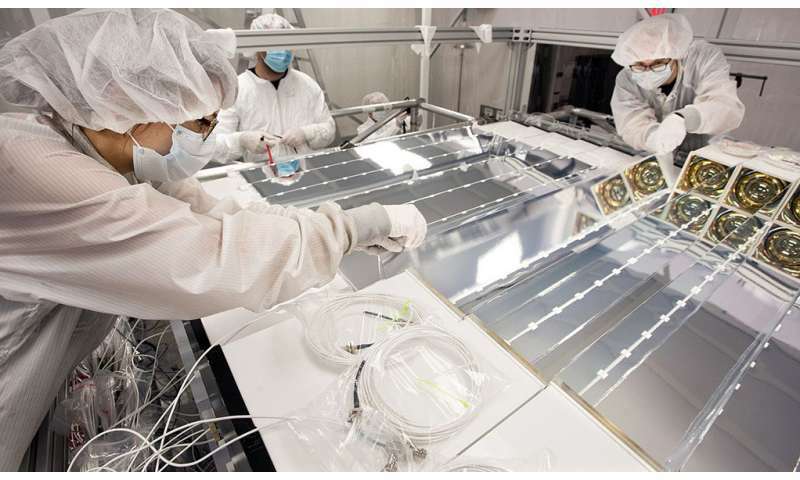 "The development and construction of PROSPECT has been a significant team effort, making use of the complementary expertise at U.S. national laboratories and universities," said Alfredo Galindo-Uribarri, leader of the Neutrino and Advanced Detectors group in ORNL's Physics Division. 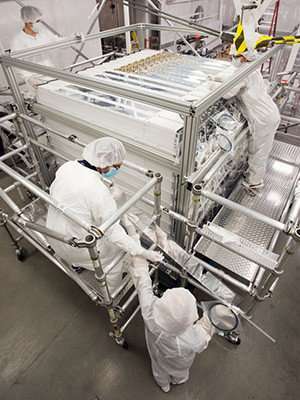 PROSPECT is the latest in a series of fundamental science experiments located at HFIR. "We are excited to work with PROSPECT scientists to support their research," said Chris Bryan, who manages experiments at HFIR for ORNL's Research Reactors Division.